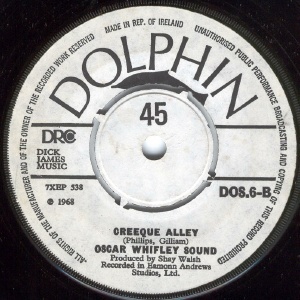 AKA Oscar Whifney Quintet, also known as Nightshift. I've also been told they started in Marino in 1965-66. They were managed by Shay Walsh (from Kilkenny) who also managed Sugar Shack. They played Beatles and Stones covers among others. 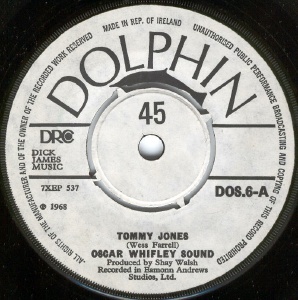 Oscar Whifney released a single on Dolphin in 1968 which is miscredited to Oscar Whifley. 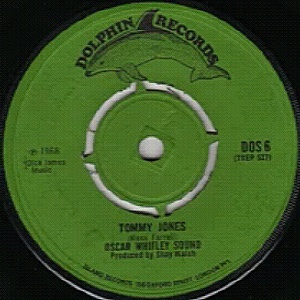 The A-side is a cover of "Tommy Jones", written by Wes Farrell, which was a hit for Odin's People in 1967. A jaunty arrangement with piano, horns and a near faux cockney vocal, it hasn't aged well (and sounds nothing like The Kinks, despite what yoy might read elsewhere!). The B-side is a Mama And Papas cover which jettisons the swing of the original versions and plays it as straight folk-beat and it works very well. It also features an excellent guitar solo. This single is recommend for the B-side alone. Philip Donnelly played guitar with the band at some point before joining Portrait. John Smails is now a well-known photographer. The other band members joined various other (show)bands during 60/70s.